The main fiestas in Torremolinos take place towards the end of September every year. Locally they are referred to as La Fería de San Miguel as they are centred around the feast day of St. Michael the Archangel on 29th September. La Romería de San Miguel:Typically celebrations begin on the last Sunday of the month with La Romería de San Miguel which is recognised as a ‘Fiesta de Interés Turístico Nacional’. A Spanish ‘Romería’ refers to a Catholic pilgrimage in which the participants travel on foot, on horseback or by float to a particular religious hermitage. In the case of Torremolinos hundreds of brightly decorated carts pulled by horses or oxen together with pilgrims in typical dress meet in Avenida de Los Manantiales at 10am on the Sunday morning. A procession through the streets then ensues which ends at the small hermitage called ‘La Ermita de San Miguel’ in Los Pinares de los Manantiales. Between participants and spectators, it is estimated that around 200,000 people take part in the event which makes it the region’s 2nd most important Romería after El Rocío. Throughout the pilgrimage there’s traditional Andalucian music and dance together with plenty sherry doing the rounds, all of which adds to the joyous atmosphere. La Fería de San Miguel: The actual festival usually begins the following Wednesday with a variety of activities taking place through until the Sunday. Most daytime events (La Feria de Día) are held around Plaza Nogalera and Plaza Costa del Sol in the town centre beginning with a giant pork stew (Estofado de Cerdo) for everyone. Evening festivities (La Feria de Noche) move to the dedicated fairground (Recinto Ferial) near the bullring beginning with the switching on of the illuminations at 9pm. The Plaza de Toros host bullfights during the fiestas. At the Recinto Ferial there are many typical fairground attractions together with lots of temporary ‘casetas’ filled with music and dancing until 5am. Some of these ‘casetas’ are private affairs but many are open to the public so you’ll have no problem buying drinks and food and joining in with the locals. 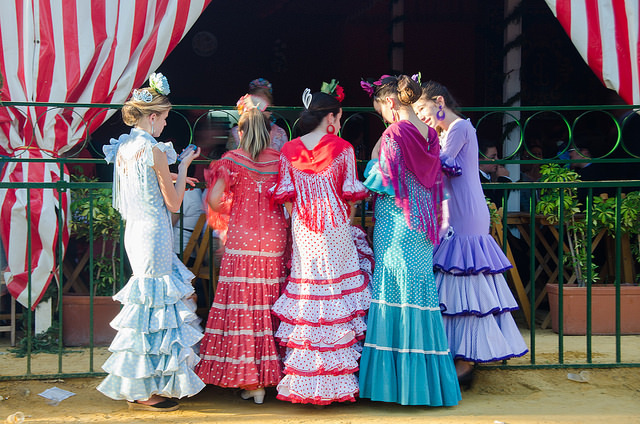 Día Grande de San Miguel: Amidst all the partying it can be easy to forget that the ‘Fería de San Miguel’ is ostensibly a religious affair in honour of the Patron Saint of Torremolinos. So on the 29th September there is a mass at midday in the Iglesia de San Miguel Arcángel to celebrate the feast day of Saint Michael. More events take place during the day then in the evening there is an official offering of flowers in Plaza de la Independencia and a procession through the streets carrying a statue of San Miguel which departs from Plaza San Miguel at 7pm. Torremolinos lies just 8km south-west of Malaga Airport on the Costa del Sol. 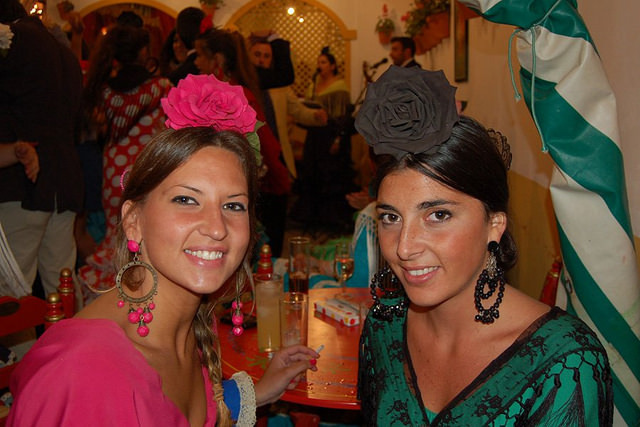 Fería Dates: The festival takes place during the last week of September with 29th being the key day. However, dates of specific activities vary every year so you should check the official site of the Torremolinos Town Council for the official calendar. Official Programme: You can find out the official programme of events from the Ayuntamiento de Torremolinos website listed above. Otherwise you’ll be able to pick one up at the official tourist office (Paseo Marítimo, 25R). Book Accommodation: Demand for hotel rooms during the fiestas is very high so if you’re planning on attending it’s recommended that you look for accommodation in Torremolinos as far in advance as possible.